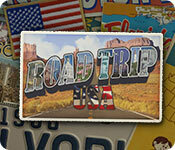 Road Trip USA is rated 4.2 out of 5 by 46. Rated 5 out of 5 by nuenue3 from YOUR ARE SEEING PARTS OF THE US IN DIFFERENT EYES I have this on my FIRE Tablet 7thGEN, and it is fun playing. You are trying to find the special items they tell you to find. Then they might throw in an extra one for you to find and get more points. I still have 84 items to unlock out of 100. I take my time to make sure I find what I need. The mini-games are Mahjong, Locks, Hide and Seek which is the items are in a silhouette and you figure out what they are, then there are few more games just check-in on Help and they will show you what to look for. Also, there are speed times depending how fast you are you get points for that. Then I was happy to find out they also have a Road Trip in Europe only on PC. I was hoping for it to be on Android App which I can download to my Amazon Fire Tablet 7th gen. This is the only way you can get the games for your tablet. Which I love. Thanks, Big Fish Games. This is a keeper. Rated 5 out of 5 by mamadance from LOVE LOVE LOVE I loved playing this game I played it twice. And it was just as much fun the second time. I recommend this game. And they just came out with Road Trip Europe. & I recommend that one too. I wish they came out with more games like these & not so many gory games about murder, & death. To many dark games. We need more games like this one or others that are more uplifting games. Rated 5 out of 5 by Sapphire_Glints from Very Happy I got this game!!! Very clear and pleasant graphics! Great for adults and kids too, I think. Plenty of levels (without even counting the Bonus levels which I have not yet opened up) which I think is very, very well worth the price of the game! 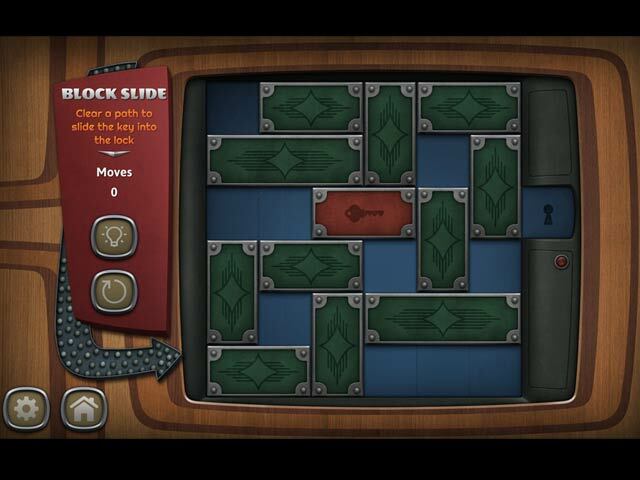 Each level has within it many different levels with different kinds of games at each level. Some games are Mah Jong type, some are find the differences in two scenes, some are match 3 type, others are various type of hidden object variations, example, find objects in darkness, find objects with only the outlines given etc. Unlimited hints which replenish in a few seconds, so one does not get stuck at any level! I found SHIELDS at the abc levels (the ones where the clues are written in words). Very good re-play value because one can play often to try for all shields to open the Bonus levels. Also, one can attempt to top one's last score (i.e. finish a level without using hints and without error clicks for lots and lots of points!). 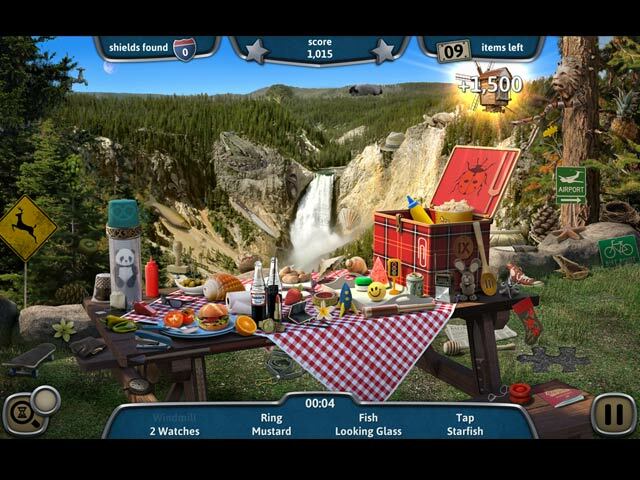 I own lots of Hidden Object games but this is in the topmost class with relaxed fun and nice, restful backgrounds. Gratitude and respect to everyone who got this game to me! Rated 5 out of 5 by Bellelady from Enjoyed game thus far The game was challenging and enjoyable until I can't find one sign to get to the bonus. I went through the level more than 20 times and still can't find the sign. Rated 5 out of 5 by LeeHazlewood from Finally ! Thank you! Finally, an actual hidden object game that doesn't get bogged down with story lines and film clips or cartoons. No need to find the flashlight so you can find the key to open the drawer to locate the map and the pencil to mark an 'x' on the map, etc. etc. This is hidden object, with mini games, like the older HO games but with better graphics. Music is very good, but a little variety would have been nice. Thank you! I'm hoping for a sequel? Rated 5 out of 5 by spyder55 from Addictive and fun! This game has great scenes, most are bright colours which makes it fun for me. There are mini games that are fun too. I get to select which scene I want to play in any order I want. 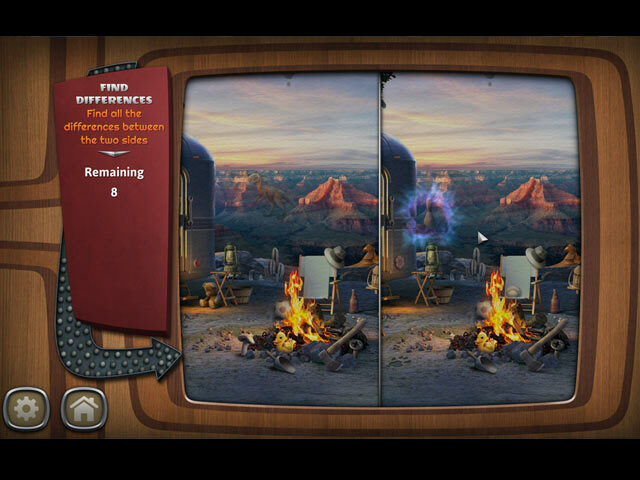 I recommend this hidden object game for fun. Rated 5 out of 5 by Sunshine566 from The best game ever This was the best game I ever played. The HO's were excellent, along with the mini-games. Rated 5 out of 5 by whatever0662 from Very interesting! I love this because it is a fairly straight up HOG, but the mini games and puzzles are very cool! Relaxing and very enjoyable!